Unless you have been hiding under a rock for the last 18 months, you will know that in only a matter of weeks, GDPR comes into full effect. 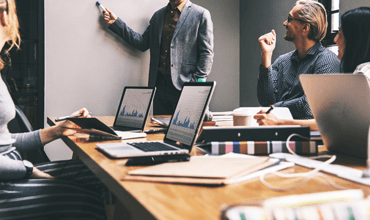 Charities are working around the clock to make sure that their houses are in order when it comes to gaining consent from their donors for their marketing activities. Whilst many are seeing GDPR as a threat, we encourage our clients to embrace the changes and to see them as an opportunity to ensure that their data is clean going into a new financial year. Whilst charities concentrate on gaining consent for communications, it is vital that they do not overlook another important aspect of GDPR which focusses on how data is held. This is an essential component in becoming GDPR compliant. You should document what personal data you hold, where it came from and who you share it with. It is now a requirement for organisations who undertaken certain activities relating to data to employ a Data Protection Officer. It is they who will ultimately be responsible on a day-to-day basis for ensuring that you are fully compliant. This alone shows the importance of making sure you are ready for these changes. If you are one of the many charities who are now in the market for a CRM system and do not know your Raisers Edge from your ThankQ or your DonorPerfect from your Donorfy then this guide should be of use. How will your employees access the data? This is something to consider as it will prompt you to decide whether to go for a cloud based CRM where you can simply sign in with a username and password from any internet enabled computer or tablet or one that needs to be downloaded and installed onto a device. 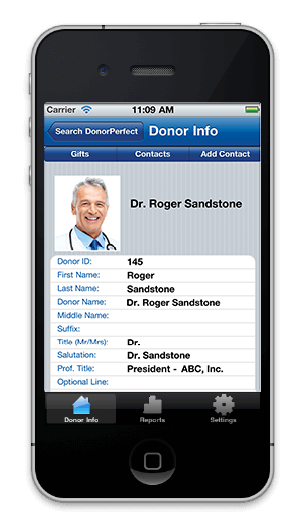 Some providers, such as DonorPerfect, also have a mobile app that can be downloaded for when you need to access information on the go. What do you want your “constituents” to do in order to support your organisation? Are you focussing more on individual giving, volunteering, advocacy or trusts and foundations? The answers you give will help you to negotiate the array of solutions that are currently on the market. Some platforms focus more on maintaining the “relationship” whereas others have more of an emphasis on donation handling, appeals and campaigns. It is estimated that around £3bn was given to charities in Gift Aid last year with over 52% of donors saying “yes” to Gift Aid on their donations (Source: CAF UK Giving Report 2017). The process for claiming Gift Aid can be cumbersome if you are manually completing the HMRC form online. Nowadays, most fundraising CRM systems have a link to HMRC’s Gift Aid claim portal allowing you to simply download your eligible donations and submit the claim directly through the system. They will even flag errors such as incorrect address formats to allow you to correct them before submission. Donorfy has a great feature which will automatically flag any qualifying donations and allow you to submit the claim to HMRC on a monthly basis at the touch of a button. This is vital! Any CRM worth its salt will have an in-built consent function. Blackbaud released their add-on back in mid-February as did DonorPerfect. 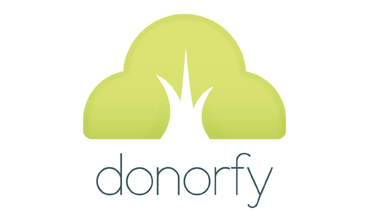 Donorfy has had one since it was launched. In a nutshell, you need to be able to record, for purposes of GDPR, how your donors wish to be contacted (if at all). Do they want to be emailed about fundraising? Do they not want to be contacted by post at all? Have they signed up to the Fundraising Preference Service (FPS)? Can they be contacted under “legitimate interest?” As an organisation you need to be confident that you are only speaking to the supporters who wish to be spoken to and this information needs to be evidenced and available upon request. The chances are…there’s an app for that! If you decide to go with a Blackbaud product then you will find that most of the available integrations come from third party developers although Raisers Edge does have its own in-built event module. This will provide you with the flexibility to pick and choose which integrations you would like to use but will most likely incur additional charges. If on the other hand you prefer to purchase a system where the integrations are already hard coded into the software then you may wish to consider either Donorfy (current integrations include Quickbooks, Mailchimp, JustGiving, MS Outlook, Eventbrite, Stripe and Go Cardless) or DonorPerfect (integrations include Quickbooks, Constant Contact, Weblink and MS Outlook). This is pretty standard across most CRM systems but that’s not to say that it comes as standard. If you have never worked with a fundraising CRM before then you may find this saves you a large amount of time when recording donations. If you have ever launched a large scale appeal and have faced the daunting prospect of having to record each donation individually then having the ability to batch your donations and upload them in one fell swoop is priceless, leaving you with more time to secure that next major gift. Again, this is a common function amongst most CRMs but is worth checking before you make your final decision. Raisers Edge will allow you to generate merged thank you letters through MS WORD and then mark the donation as acknowledged, depending on the donor’s preference. Donorfy’s thanking is fully integrated within the system allowing you to print letters and send emails directly through the CRM. For any organisation, being able to easily provide complex reports and analysis on activities is essential. Most CRMs on the market provide a pre-loaded suite of commonly used reports for financial purposes. These can either be viewed within the CRM itself or exported to an integrated piece of software such as EXCEL. Each CRM contains varying reporting capabilities and depending on your requirements it is worth taking the time to ensure that the system you choose has the reporting functionalities your organisation requires. How many people consider the support function until they actually need it? When you have a deadline to meet and you simply cannot pull the information you require. When something goes wrong and you can’t work out how to fix it. When you just need that extra support in order to complete a basic task. We have all been there which is why finding out about the support mechanisms in advance may save you time and money in the long run. Raisers Edge operate on a ticketing support system where you can track your tickets and escalate them based on importance as do ThankQ. They also have telephone support if the matter is of the upmost urgency. Donorfy also run a ticketing support system but also provide online support with step by step guides through their knowledge base. If DonorPerfect is your preferred system then you can take advantage of their live online chat with a member of their support team but this is only available to customers in the UK from 2pm, Monday and Friday and is often closed during US holidays. Are you a multi-national organisation? 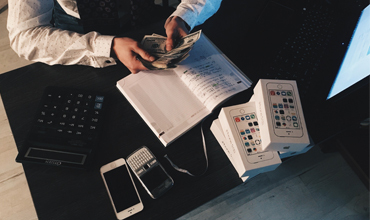 Do you require the ability to record donations in multiple currencies? Many CRMs can build in this functionality but beware of additional costs. Ultimately, everything boils down to cost. As an organisation but perhaps more importantly, as a charity, can you afford the software? On the flip side, can you afford not to make the investment? Nowadays you will find that most cloud based suppliers operate on a cost per constituent basis (with unlimited licences for you and your team) whereas pre-installed solutions have a cost per licence pricing model. Salesforce NPSP are currently offering ten free licences but beware of additional costs. The length of contracts also varies from provider to provider. Donorfy Essentials package is free for up to 500 constituents. The Professional package starts at £89pcm. Donorfy full price list. There is also an option to try before you buy with a 14 day free trial. DonorPerfect starts at £129pcm for the Express package which includes your first 2,500 records. DonorPerfect full price list. There are a number of GDPR compliant CRM’s available on the market specific for charities. Donorfy and Raiser’s edge are the 2 main players in the industry and there’s often lots of comparisons between donorperfect vs raiser’s edge as they are both leading fundraising CRM’s. 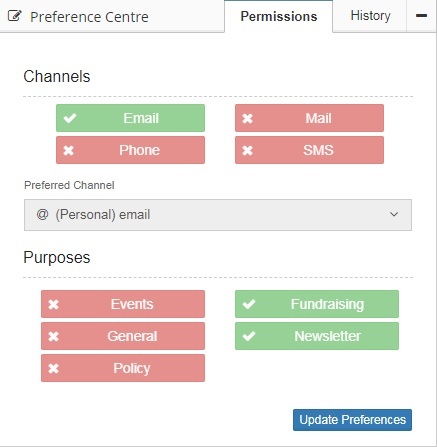 Hopefully this short guide helps make finding your next donor charity CRM a bit easier and you can see the differences between donorperfect and raiser’s edge to help you make a decision. Pingback:GDPR – As A Charity, Do You Have to Comply?